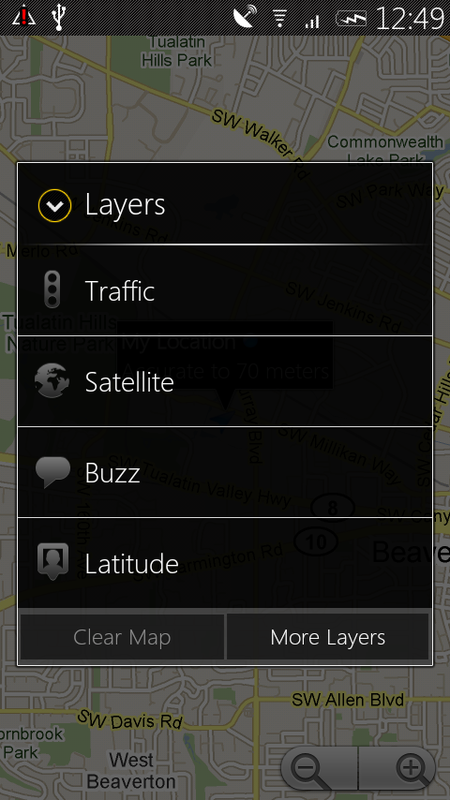 Since everyone feels like they were screwed over by the TAT Home preview, how would you feel about another custom UI for your Motorola Droid? 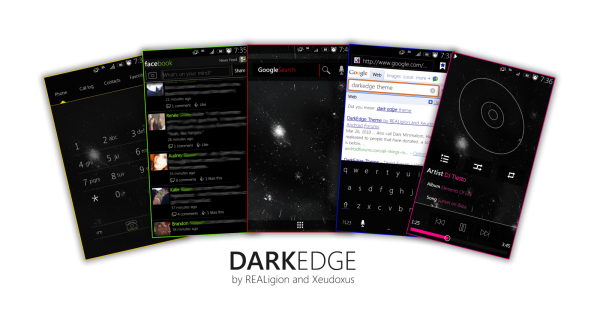 The DarkEdge UI from Xeudoxus and REALigion went public last night and so far looks incredible. While the install of it was sort of a struggle, I managed to complete the entire process and I’m thinking it may have been worth the pain. 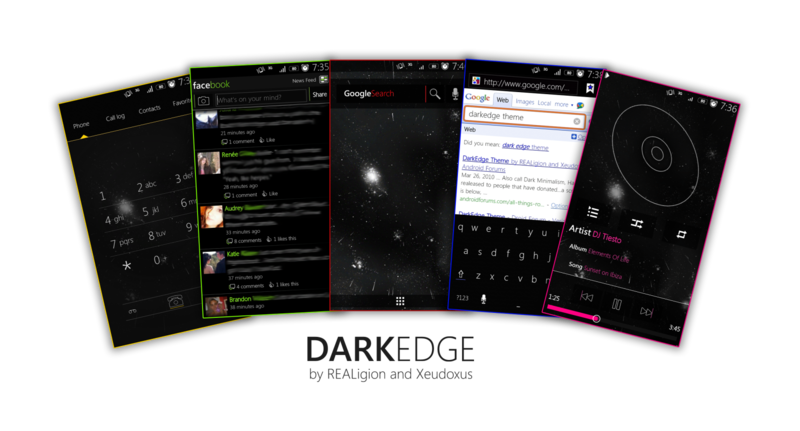 Well, except for the fact that Hootsuite is made completely useless by all of the black…Anyways, if you are up for an entire theme overhaul, DarkEdge is definitely worth the time and effort. Full release info including download and installation instructions can be found at DroidForums.net. Update: I’m going to do my best to put together some sort of video tutorial on this, but I’m telling you right now, it’ll be ugly. It also might be an hour long hah. Let me see what I can do in the next few days. Going from Bugless Beast to this was not successful. My guess is a kernel issue. I reverted back to JRummy and a standard voltage kernel and was able to get it to work. Be patient. Reboots seem to take forever, but usually will make it through. Be really patient. This took me a good hour and half because of the amount of steps it takes to completely finish this process. Would love to hear thoughts, issues you ran into, or anything else so that those interested in checking this out can have a much smoother process than I had.